You Have the Right to Receive Open, Honest, and Positive Information. NO hype, NO gimmicks, No dog and pony shows. To be Respected and Never be Taken for Granted. You will receive prompt and courteous service, never pushy. You will never be pressured into purchasing any of our products. To Work with a Professional and Knowledgeable Sales Consultant. You will be greeted by a certified, competent, trained consultant who has been taught to listen in order to solve your problems. They will never give evasive or stock answers. You will receive the security of knowing we believe the customer is always right. We believe that it is easier on everybody to let you buy on your terms, instead of trying to “sell” you. To Receive Clear, Concise, and Factual Information About Products, Services, Prices and Policies. You deserve to receive all the information necessary to make your decision. That means being generous with information. This means full disclosure on every detail of the transaction: financing, leasing options and most of all price. Valdosta Toyota believes that you have the right to get a real price quote on any new or pre-owned vehicle, right up front on demand and in writing. You will not be gouged on any product or service. If we wouldn’t charge our mother, we won’t charge you. Promptness: Attentive to your needs from incoming phone calls to on time promises on any service work, we won’t make you wait. Friendliness: We don’t train people to be friendly. We hire friendly people. Cleanliness: Some businesses wait until it’s dirty before they clean it, for you comfort our dealership is always clean. You will be encouraged to complain if we fail in attaining any of your rights. The customer who “tells it like it is” is our best client. 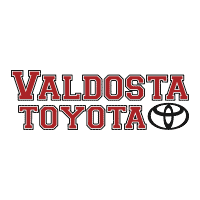 What Does it Mean that Valdosta Toyota has Once Again Won Toyota Motor Sales’ Most Prestigious Award? Each year Toyota Motor Sales recognizes its finest dealerships for excelling in the areas of sales, service, parts, customer satisfaction, and business management with the prestigious President’s Award. It is recognition for dealerships that continue to go above and beyond at each customer touch point and represent the best of the best. For the 6th consecutive year, and over 15th time in our storied history, Valdosta Toyota has earned this coveted award, adding the 2017 plaque to the display that sits proudly within our showroom. Dealerships must meet or exceed the standard in all areas of dealership performance in order to qualify for this award. Dealerships that meet the requirements in all categories receive name badge recognition at all dealer events, national recognition, and more. Valdosta Toyota is continuing its commitment to provide a truly unique and customer-centric dealership experience. From the top down, every member of Valdosta Toyota and Butler Automotive Group is dedicated to the selfless service of our customers. The continual recognition of these efforts is an appreciated reminder that these efforts are not only effective, but worth while. So have you had poor experiences with car dealerships in the past? Have you felt undervalued as a customer? Do you feel like you have been taken advantage of by unprofessional car dealerships? Experience the Valdosta Toyota Advantage by contacting our staff or visiting us at the dealership today. As a Proud Member of Butler Automotive Group, Valdosta Toyota also Abides by the Following Mission. We commit to making Butler Automotive Group the best place to work and in turn the best the place to do business for our customers. Want to learn more about Butler Automotive Group and see how we benefit from being part of a premier group of dealerships across Georgia ? Visit ButlerCars.com today!